Get into the best shape of your life with the best personal trainers in Brisbane. 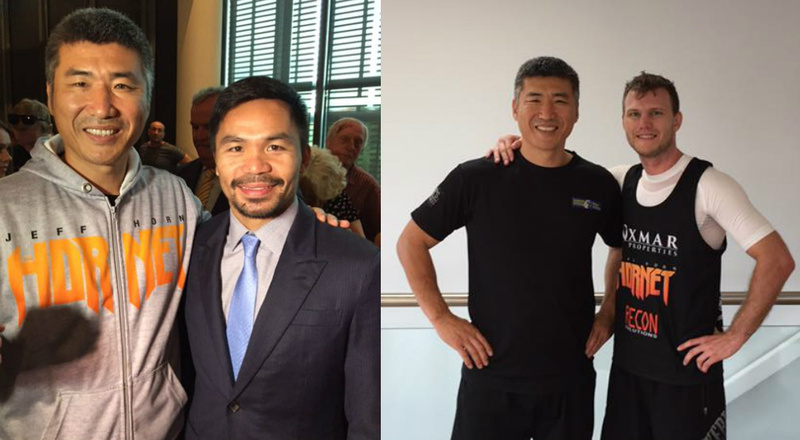 Brisbane Boxing Gym owner & head trainer Dundee Kim is well-known throughout Brisbane for being Jeff Horn’s strength & conditioning trainer. In fact, he was recently awarded a World Champion Strength & Conditioning Coach Award by the Lord Mayor for helping Horn to claim victory in the Battle of Brisbane. When you train at Dundee’s Boxing and Fitness, you don’t just gain boxing skills. You gain mental and physical health, determination, skill and an accepting and encouraging fitness family. Dundee’s Boxing and Fitness is one of Brisbane’s most outstanding gyms. We will provide you with outstanding fitness training and support within state-of-the-art facilities. At Dundee’s, you only train with the best. We have trained world-class athletes, Olympians and more.